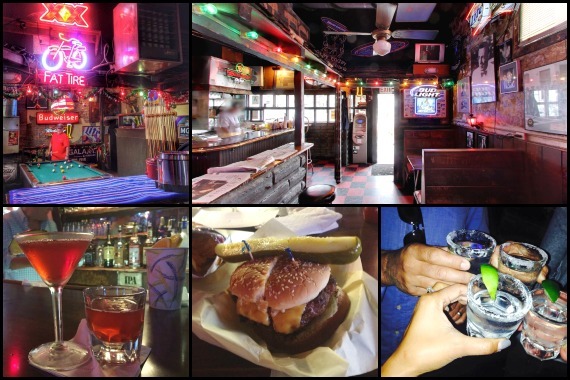 We’re an old-fashion, neighborhood bar in downtown Manhattan Beach. Offering great food, great drinks, and great prices! Come on in and have a little fun. "We know the way to your heart (and your stomach)." "We want to be part of your weekly routine." "We want to hear about the first time you walked through our doors!" "Beauty is in the eye of the burger holder." Near perfect dive bar tucked into Manhattan Beach. Cash Only. Still one of my hole in the wall places! The burgers and chicken sandwiches are awesome, and they get the meat from the butcher shop next door!!! Also the guys are always attentive. Check them out! Great little Manhattan Beach bar, but heads up - it's cash only. Yes, I'd like to receive news from Ercoles 1101. Sign up for the Ercoles 1101 Newsletter!